Cable channels just give me a unique selection of dramas these days that mainstream can’t compete with. JTBC has just released Last on what I feel like as the down-low, even though fairly famous actors, Yoon Kye Sung and Lee Beom Soo are headlining it. In Last, we have a “pull yourself up by your bootstraps” kind of story. Yoon Kye Sung plays Tae-Ho, a skilled go-getter stocks trader who is not afraid to use insider information to manipulate trends. However, his wolf on Wall Street attitude and arrogance unfortunately makes him lose 35 billion won in one feel swoop. Of course the money he was playing with came from a loan shark who did not hesitate to make the hit on him and his buddy. Although he gets dumped in the sea and almost drowns inside the locked car, Tae Ho’s pride will not allow him to die this way. He manages to escape, but loses his good friend. Now, without money and friends, he roams the streets as a homeless person. However, his pride will not allow him to beg in the streets or even take a free meal at the homeless shelter. He vows to gain everything back that he had lost. To do this, he manages to take out one of the 7 Seoul Bosses who run a homeless money laundering operation. The operation takes the money that the homeless makes through different means and funnels it up to the top boss who actually makes more than 10billion this way. Tae-Ho takes out the lowest ranking boss and aims to work his way to the top. However, he doesn’t know that the money he had lost through stocks had been part of the top boss’s money. He convinces boss number two to help him and teach him how to fight. Tae Ho is a quick learner, but he crunches numbers and not people. While I had never been an avid fan of Yoon Kye Sung, I am definitely won over by his portrayal in this show. I had always remembered him as a kind ahjussi from The Greatest Love who does that Daddy Long Legs roles. However, I am loving this arrogant, but hard working attitude he shows here. You can feel his passion and ambition. I am definitely looking forward to him taking out each level of boss and finally going head to head with the top boss. The story is not your run of the mill fight or crime drama. There is heart and humor as well. We see an interesting aspect of a world that many of us don’t usually take into consideration. It shows a fairly structured homeless population infrastructure that actually generates more money than you would expect. What an interesting concept! I started this drama on a whimsy, but will definitely follow it closely! The time i have wasted, the life that can’t be brought back, the memories of the past, I don’t want to think about it anymore One love? Where is it? Tried to find, but found nothing. True heart for true heart? Can it even be trusted? Where is it? Where is it? Another action flick! This is definitely a company you do not want to work for. From the outside, the company looks boring and ordinary. You have secretaries, managers, assistants, busy telephones, fax machines, all the gears of a Misaeng workplace. However, each staff member doubles as a assassin. They all know a variety of martial skills and perform contract killings to generate revenue. Like a regular company, you have promotions and you of course have demotions. With demotions or “resigning”, often you are completely obliterated from the face of the earth. The point of the company was to keep you in service until your retirement days. For our main character, Hyeong Do, he is rising and star employee looked upon very favorably by the company’s CEO. He asks no questions and follows all his orders to a T, no matter his own personal opinions or emotions. The company was his world and home. However, one day he decides to save a “temporary” worker from being disposed of because he had developed a close bond with the young teenager during work. With this one action started a snowball effect of finding happiness outside the world of murder. He meets the teen’s mother, Mi Yeon, who was a faded pop-star and a single mom. They develop deep feelings for each other and hoped to start a new life together. As his happiness for the other world grew, he began to become more merciful and this lead to the company finding out about him not following his orders. Even though he was promoted to a high position for his extraordinary work ethic, he decides to resign in order to pursue love. Of course when Hyeong Do runs away, this is not taken lightly by the company. Meanwhile, an old retired employee tries to get back into the company and betrays Hyeong Do and his new found love/family. In a bloody fight, Mi Yeon unfortunately becomes a casualty. Heyong Do decides to get revenge by taking down the company. However as he arrived to the company, each staff member is armed to the teeth and ready to annihilate him. However, of course he manages to defeat them all and kill all the members, down to the CEO and slimy VP. He escaped with only a few bullet wounds and also took the brunt of the blame from the teen who had come along to help me. The movie ends with him walking out into the huge crowd gathered outside the company from when they had heard gunfire. Lets start with the plot and get that out of the way. Concerning that, you know you are not getting anything new other than powerful killer falls in love with innocent women and gets revenge because she died. Although that trope is very much overused, I enjoyed other aspects of the film. It was interesting how they juxtapositioned normal ordinary office worker life with the killing missions. These workers only went outside of their company if they were to go on a mission. They worked in teams like in a office, with a Manager, Assistant Manager, Director, etc. Instead of some files, we have weapons hidden in between them. Instead of supplies in their drawers, we have more weapons stuffed inside. They went on retreats just like normal companies. What the movie did well was show that these employees have been so jaded and brainwashed that murder has become part of their normal life. It is just their job and nothing personal. 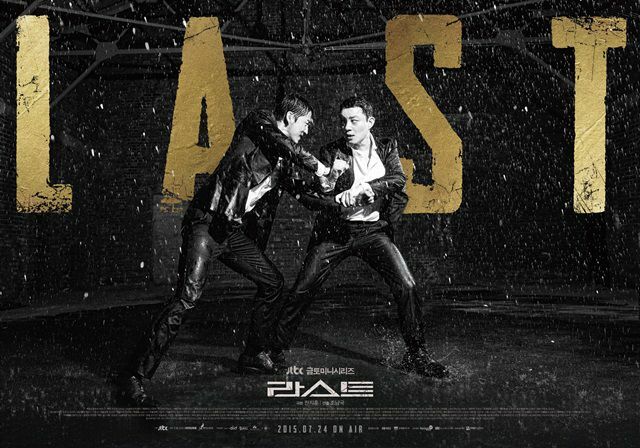 Although the fighting choreography is on point and very intricately done, at times it is overly done. For example, it is not realistic, not even a smidgen, that Hyeong Do can walk out of that bloodfest at the end without any fatal wounds even if he had a bulletproof vest on. 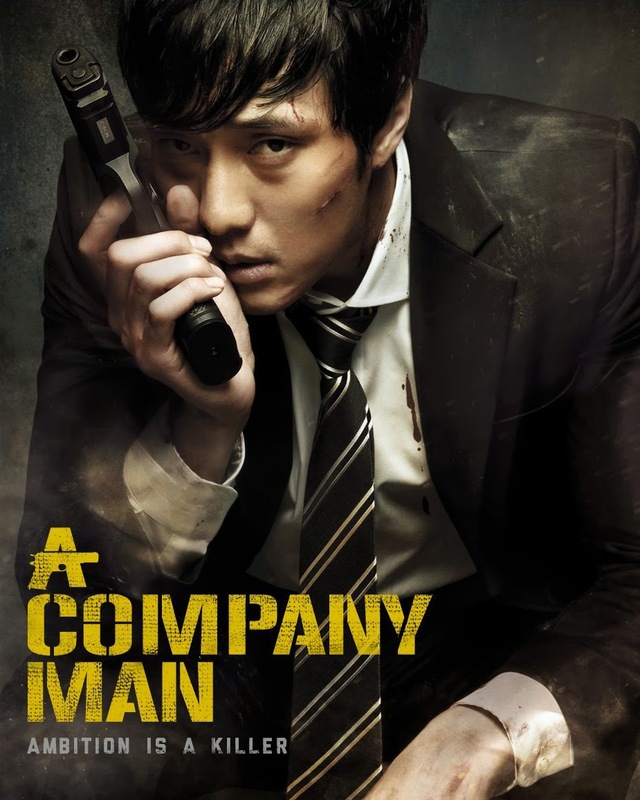 I had hoped for more character development for the main character played by So Ji Sub. I had also hoped for more bonds between him and the teen in the “fatherly” role instead of boss to employee. I must say thought that So Ji Sub is wonderfully casted for this role. He definitely portrayed that cold, emotionless attitude of a professional assassin perfectly. It was those tiny and brief moments of emotions that appeared on his face which are memorable. A single tear when he knew happiness was out of his reach. That quick quirk of the mouth when he found something amusing and touching. That endearing awkwardness for social situations and puppy love. He definitely worked his character to the max which really carried the movie. Other than that, I would say this movie is just something quick to fill the time, and not something to write home about. Joo and Seua finally find Tik’s house only to discover that she used all the money. Tik isn’t as well off as she pretended to be. When Tik’s father couldn’t send her money, she used all the funds collected. Seua threatens to call the cops on Tik, but she begs him. Tik promises to return the money, but Seua is understandably furious. Why use money she didn’t have? Why not work? For real, she should have lived within her means. To help her friends, Joo decide to work part-time and save the money to pay for the jerseys. Unfortunately, the money she makes is too small. Joo tries to negotiate with the jersey shop owner, who nicely accepts to let it go. No more payment! Joo is relieved, but not as much as Bee! Bee’s leg is slowly healing and he tries to take advantage of the situation as much as possible – endless flirting attempts with Seua. I don’t blame him. Why is it that I still can’t hate Ning? Despite everything she puts Seua through. Ning keeps acting shady with Seua, being all jealous of girls calling his phone when she is the one two-timing. The nerve of this girl. Seua always try to diffuse the tension by being easy going but Ning isn’t letting it go. Bee seems to be standing up more for Seua, throwing implicit remarks to Ning: Oh, I can’t stand women who two time! Who does that?! So shameless. Gosh, I love Bee so much. Readers must be tired of me saying this. Please don’t hate me and keep reading. Seua quickly discovers the truth when grabbing noodles with Bee and Joo. Tot, Ning’s Boyfriend 2, shows up and sits with them. He stirs a conversation with Bee and Joo, which at first is completely harmless. The stress almost makes Bee choke on his noodles. Poor Bee and Joo; they weren’t ready for this. Then Tot starts asking about Ning. Is Ning in her room? He didn’t call before coming. Anyhow he’s going to buy sweets and it would be nice of Joo and Bee to deliver them to Ning. The remake of Tik and Aom’s Roy Leh Sanae Rai is finally out! And oh yes, I am enjoying it. For those who aren’t familiar with the Tik-Aom version, let me give you a quick run down. Kongpope gets back from abroad for his father’s funeral. Yes, another pra’ek that HAS to study in the U.S… Like it’s the only country in the world. Anyhow after the funeral TADADA it’s the opening of the will. Kong realizes that his father gave some of his wealth – 500 million baht (~ $15 million) – to a person called Namnueng. Who’s that?! Why is she receiving so much money? Anyway, Kong doesn’t know the part about his dad cheating his partner and he doesn’t care. All he cares about is to get his money back. He sets on a quest to seduce Nueng, have her marry him and combine their fortune. 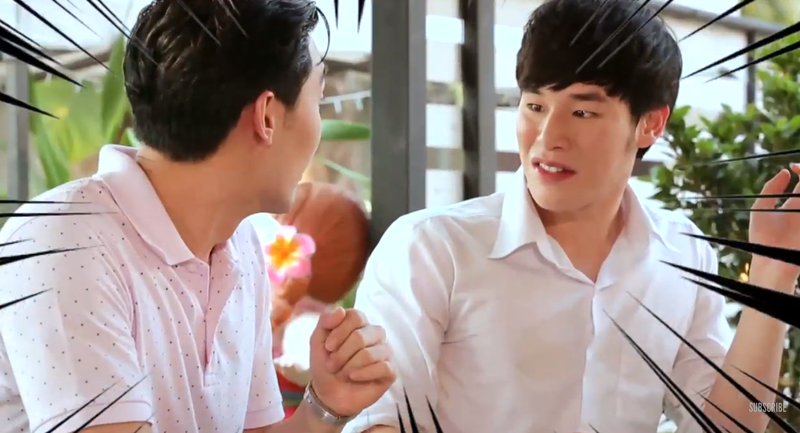 Nueng is unaware of Kong’s plan. She is surprised to see the rich and handsome Kong showing interest for her. Despite warning from her mother, she starts falling for him. Kong isn’t the only one in high demand. Neung’s friend Thor has hopes of getting with her. For the longest time ever, he had dreams of saving money and proposing to her. What’s up with all those people abhorring feelings for years and remaining silent?! Thor, please don’t act all surprised when Kong sweeps Neung off her feet. I won’t feel sad for you. You should have made a move a while ago. The joke is actually on Kong because he starts falling for Neung, but he is so deep in his plans to trick her that he doesn’t notice his feelings until it’s too late. The plot for both dramas is essentially the same. The 2015 production is just more up to date in terms of fashion, music, and directing. I Remember You: Who Remembers Me? Ah the potential is there! While I do enjoy the more grungy crime thrillers that air on the cable channels, I am still open to mainstream types if they are done well. This drama combines lightheartedness with a streak of pitch black. However, what the drama really reminds me of is BBC SHERLOCK, yes Korean Sherlock, down to the tinkling and jaunty musical OST. Not only that, but a genius investigator who sees and processes more information than the average human (floating numbers like Sherlock BBC). Maybe not as psychopathic as Sherlock, but more than halfway there. Anyways, enough with the similarities, the drama does have enough to hold its own. 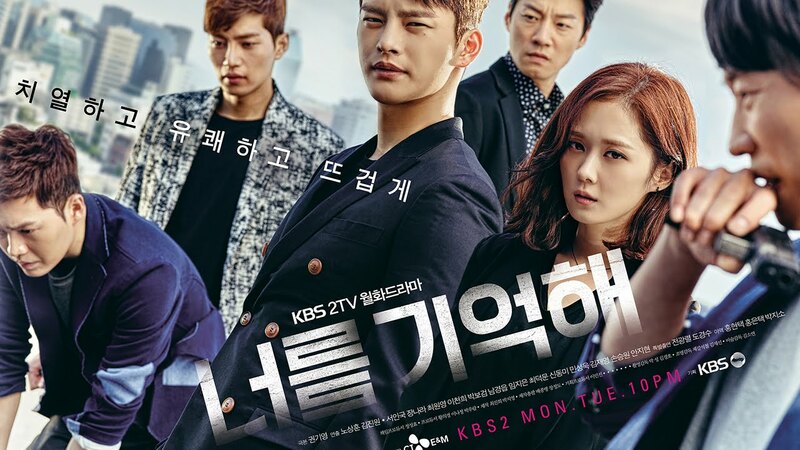 Lee Hyun, that genius investigator arrives in the middle of a crime scene investigation and nobody knows who he is. Well, except for one person, Ji-An, otherwise known as his childhood stalker. Of course he does not remember her as she only ever watched him from afar. Lee Hyun had come back from studying abroad in America and has a long trail of awards, degrees, and honors behind his name. He was sent along with a egotistical team leader to investigate some recent serial killings. And for Lee Hyun, to find his father’s murderer and his missing younger brother. The team mistakes him as the killer at first. While the first half of the episode is all laughs and jokes, which almost turned me off, the second half roped me in. As Lee Hyun goes back to his childhood home, he remembers his difficult past. As an extremely precocious child, he was mature beyond his years and knew things that others didn’t. This scared his father at times and made him doubt his own child. His father was a criminal interviewer and studies jailed psychopaths. Lee Joon Young is a young psychopath that his father was very interested in, especially in the person’s childhood. Why? Because, the man is also extremely smart and different than others just like his own son. 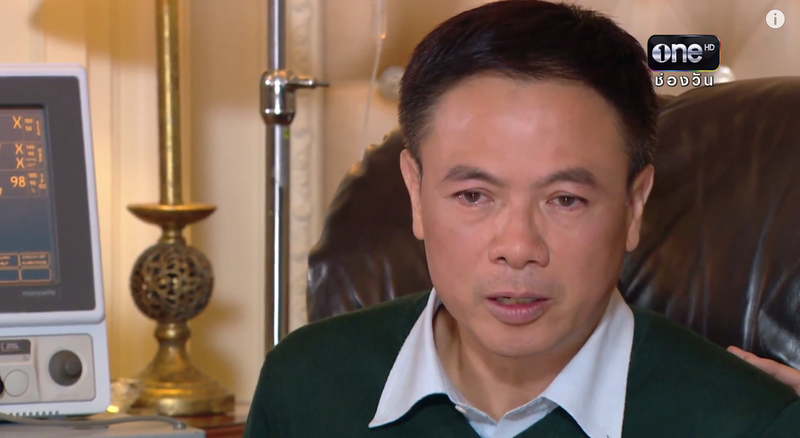 He worries and doubts even more that his own son would grow up to be like this killer. One day, as Lee Hyun takes his father’s forgotten bag to work, he makes accidental contact with Joon Young. They have a conversation and even make a promise before his father finds him and freaks out. Goaded by Joon Young’s insinuation that his son is just like him, the father is scared into thinking his child is a monster. This leads him to seclude his son in a secure place he built so that he wouldn’t have contact with the outside world and vice versa. This was an effort to “protect him” for when Joon Young gets out of jail and to normalize him. What. Lee Hyun is devastated to confirm that his father thinks of him as a monster and doesn’t trust him. The drama begs the question: are monsters born or made? An interesting pairing for sure, Jang Nara and Seo In Guk. Jang Nara has that super baby face that makes her younger by a thousand years for sure. Her role is meh though in the drama so far, painting her as a almost stalker type who is also happy-go-lucky, not at all the elite investigator I though I was getting from the summary. Hopefully, her character will develop, this is not to say her acting is bad. Jang Nara always had an A+ in acting in my books. Chemistry with Seo In Guk? Hmm not sure yet, to be honest. Now Seo In Guk as Sherlock? Getting there and hopefully will see more in episode 2. Not as psychopathic and a little more adjusted than BBC Sherlock. But still eccentric and a streak of mischievousness. Now, the child actor for Seo In Guk, wow I must say! He is both adorable, but also scarily mature in the way his father was afraid. Very great acting from such a small child! Also, D.O of EXO makes an excellent creepy cameo as Joon Young. While not on the level of creep factor as Lee Joon of Gap Dong, D.O is making excellent strides in his acting career. I was definitely chilled by his emotionless appearance and intermittent smirking. It also might be that D.O’s character Joon Young has kidnapped Lee Hyun’s younger brother to mold a monster out of him. Wow wow seems like Seua and Ning relationship is more complicated than expected. Poor Joo for being caught in the middle. Ning’s parents are against her relationship with Seua because of his poor background and him being an orphan. Seua was raised by monks that’s why he has several small jobs to pay for all his school expenses. Ning is also dating another guy 😲! Two timing much. The other guy is more suitable in her parents’ eyes as he has studied abroad and his parents are family friends. Joo finds out about the relationship between Ning and the other dude while eating at the mall with Aunt Aoi. She tries to hide herself, fearing the uncomfortable situation. Later Ning asks her to keep it a secret from Seua as he would make a scene. Seriously who wouldn’t? Unless you don’t care about your significant other. Since Joo’s face is revealed, she faces mockery then support from her crew – roommates, including Nungning, Bee and Seua. Seua speaks out for Joo and dares anyone to make fun of her face: Are the people making fun of Joo so confident about their looks? He even forces the meanies to apologize. It’s a revelation for Joo. She is now free and realizes who are truly cares about her. She also goes to see Dr. Sakda who gives her hope. Things might stay like this for a year but her face will definitely get better. The bacteria has already stopped spreading. Yayyy, good news for Joo. For Joo, being on campus is also about stepping out of her comfort zone. Bye bye to the princess life. Through her courses and interaction with others, she realizes that she is not the center of the world. Not everyone is as rich and good things are not always costly. Also beauty can be found in the simple things of life, especially when you have your close ones to share experiences. With Bee, she gets to ride a motorcycle for the first, go to the market and bargain over a salad. OMG can we have a lakorn with Bee as the main character :-D? He’s simply the bomb.